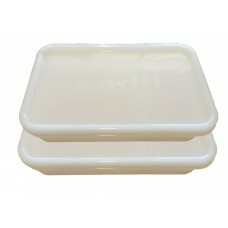 Cadii Lunch Box set - Two lunch boxes. Cadii wheels replacement kit consists of two wheels, two sets of hub inserts, and a replacemen.. The kit consists of a Blue replacement pull out handle mechanism and 4 bolts. The Pl..
Cadii Axle replacement kit consists of two sets of hub inserts, and a replacement .. The Cadii Tablet replacement set consists of the top Tablet which clips into the lid of th.. The kit consists of a Black replacement pull out handle mechanism and 4 bolts. The P.. The kit consists of a Pink replacement pull out handle mechanism and 4 bolts. The Pl.. The kit consists of a Orange replacement pull out handle mechanism and 4 bolts. The .. The kit consists of a Grey replacement pull out handle mechanism and 4 bolts. The Pl.. The kit consists of a Green replacement pull out handle mechanism and 4 bolts. The P.. The kit consists of a Lilac replacement pull out handle mechanism and 4 bolts. The P.. The kit consists of a Yellow replacement pull out handle mechanism and 4 bolts. The ..
Blue Replacement Cadii carry handle. Pullout Handle replacement Guide : Blue &.. The kit consists of ( 2 ) a set of replacement locking clips for the Cadii.&nb.. The kit consists of ( 2 ) a set of replacement locking clips for the Cadii. Ava..
LILAC Cadii Replacement Body (Bin/Box) available in various colours - This is the Bin portion only e..
Lilac Cadii Replacement Lid. ..
RED Cadii Replacement Body (Bin/Box) available in various colours - This is the Bin portion onl..
BLACK Cadii Replacement Body (Bin/Box) available in various colours - This is the Bin portion o..
BLUE Cadii Replacement Body (Bin/Box) available in various colours - This is the Bin portion on..
NAVY BLUE Cadii Replacement Body (Bin/Box) available in various colours - This is the Bin porti..
PURPLE Cadii Replacement Body (Bin/Box) available in various colours - This is the Bin portion ..
GREEN Cadii Replacement Body (Bin/Box) available in various colours - This is the Bin portion o.. PINK Cadii Replacement Body (Bin/Box) available in various colours - This is the Bin portion on..
GREY Cadii Replacement Body (Bin/Box) available in various colours - This is the Bin portion on..
ORANGE Cadii Replacement Body (Bin/Box) available in various colours - This is the Bin portion ..
Cadii replacement wheels, including wheel inserts.A set of two wheels and four wheel inser.. The kit consists of a Dark Green replacement pull out handle mechanism and 4 bolts. .. The kit consists of a Navy Blue replacement pull out handle mechanism and 4 bolts.&n.. Allow your imagination to run wild :) Pick and choose your Cadii Colour Combination for a unique Cad..
KHAKI Cadii Replacement Body (Bin/Box) available in various colours - This is the Bin portion o.. Please note that the Aluminium / metal type Pull handle has been replaced by the Plastic t..
Navy Replacement Cadii carry handle. Pullout Handle replacement Guide : Blue &&n..